Mike’s Story – "I KNOW TORONTO!" When I started out looking for my first home I had no real experience with the real estate market or the process involved. I started asking friends and colleagues for advice from their experiences which lead me to Shawn, a good friend had used him to buy his home and recommended I reach out to Shawn to find out more about the process. From the beginning Shawn was very helpful in guiding me through first steps from getting a Mortgage approval to setting my parameters. 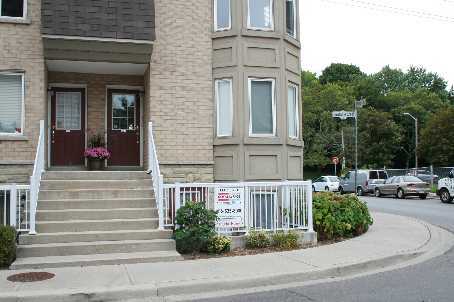 To start I had asked Shawn for a 2 bedroom home/condo/townhouse with a dedicated office space and an outdoor space to BBQ with around 1100 square feet. I had no real neighbourhood in mind but I didn’t want to be more than 20 minutes away from work in Downtown Toronto. After seeing a few different properties with Shawn, I settled on a 1750 square foot townhome with 3 bedrooms and 2 and a half bathrooms with a walkout Terrence equipped with a BBQ, which met all my parameters since I could convert the 3rd bedroom into an office. It also ended up being a corner unit which was a real bonus in my mind. Shawn was great with the process of putting in the offer, he explained each step and provided very helpful advice. Once the offer was accepted Shawn helped me through meeting each condition on time and stayed onsite during the home inspection encase I had any questions. He made the experience of buying my first home an enjoyable one and I look forward to working with Shawn on my next home purchase. Hi Elizabeth, due to privacy concerns, we don’t include that information!